How could the manipulation of DNA boost Yorkshire’s economy? Synthetic biology – which aims to redesign living organisms – may sound like science fiction but is set to become a commercial reality as our scientists look to improve medicines, boost agricultural yields and create bio-electronic devices. Along with China and the US, Britain leads the world in this area. We were among the first to recognise its exciting potential; UK scientists produce more research publications on synthetic biology than almost any other country. As the costs of high throughput DNA sequencing continues to fall, applied synthetic biology suddenly looks affordable, so the new challenge is to develop commercial applications of this advanced technology. In the last seven years, UK research councils have allocated more than £62 million to fund synthetic biology research. This funding received a huge boost in 2012 when the Government gave over £100 million of extra money to support innovation and applied research in the life sciences, especially synthetic biology. Here in Yorkshire, the three universities of the White Rose Consortium are supporting this work through applied research projects, many in collaboration with industry partners. The university labs are also connecting with the local biotechnology sector thanks to the work of the Local Enterprise Partnerships in York, Leeds and Sheffield. At the University of Sheffield, researchers are using synthetic biology to make medicines more affordable. Many pharmaceutical companies harvest therapeutic protein molecules, such as insulin and antibodies, from bacterial cells. But as drugs become ever more complex, this process is becoming inefficient. Sheffield scientists have now screened bacterial colonies to identify which cells synthesise the molecules most efficiently – and why. Working with partners in the pharmaceutical industry, the scientists have “created” super-efficient bacterial factories that make medicines in large volumes. The pharmaceutical manufacturers are now harvesting seven times more drug product from each batch of bacteria. The University of York also leads two other research networks that partner academics with industry as part of an £18 million Research Council initiative. 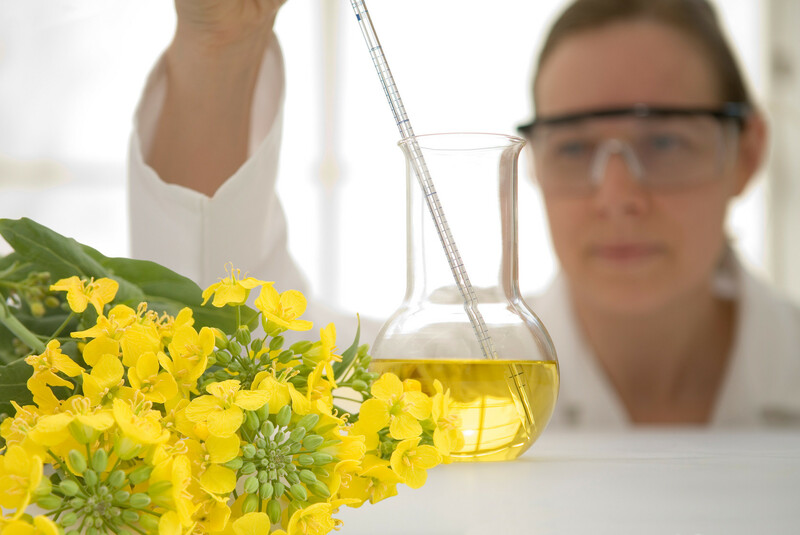 Professor Ian Graham directs the High Value Chemical Plants Network which works to identify and exploit valuable plant chemicals for use in novel pharmaceuticals, flavours, fragrances and more. Meanwhile Professor Simon McQueen-Mason manages co-directs the Lignocellulosic Biorefinery Network that aims to turn dry plant matter, known as lignocellulosic biomass, into useful products such as sterols, waxes and fatty acids. This exciting network is funded with a grant of £2 million to tackle scientific and commercial challenges. Across at Leeds, researchers also have commercial applications in mind. Indeed, the researchers recently made a significant breakthrough when they showed how lipid membranes – the thin ‘skins’ that surround all living cells – can be used to create novel bio-electronic devices, such as artificial noses to detect disease or to tell you if the milk in your fridge is going off. But Leeds scientists are pursuing a wide range of synthetic biology research. One research team is re-engineering the cholera toxin to make non-toxic drug delivery systems, while others are exploring artificial photosynthesis, designing biomaterials to work in extreme conditions – even in space – and developing new ways to build biological molecules. In fact, artificial proteins created in Leeds’ laboratories already have promising potential. Proteins known as ‘Adhirons’ have applications in medical diagnostics, drug development, agriculture, environmental protection, security and more. Does this all still sound like science fiction? Have no doubt, synthetic biology is already making its mark. According to market analyst firm Global Information, the market for synthetic biology systems will be worth more than £10 billion as early as 2016. “It has the potential to deliver important new applications and improve existing industrial processes – resulting in economic growth and job creation,” a recent Government report claims. It is good to know that Yorkshire is well placed to reap these economic rewards. Not only is our science base at the forefront of the research effort, but our scientists are collaborating with industrial partners throughout the region.